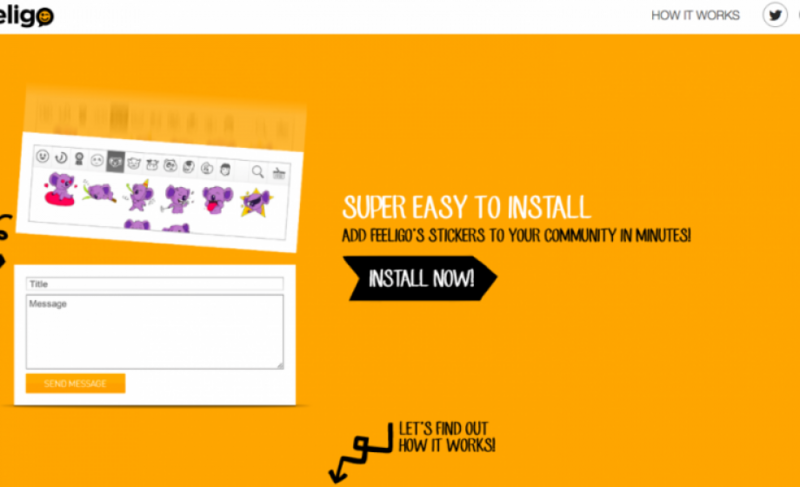 Feeligo has been growing leaps and bounds recently since shifting their focus to the fast-growing sticker market, which gives brands another route to connect with consumers. As Asia is clearly the epicenter for the sticker market, expanding beyond Europe has been at the core of their growth strategy. With 100k stickers downloaded each month, they’ve just announced raising a 500k€ round that will not only help jump-start their international expansion, but also to shore up their unique technology and consolidate their leading position in Europe. As stickers offer another approach for brands in terms of communication and connecting with consumers, Feeligo founders Jonathan Levy­Bencheton and Davide Bonapersona turned to experts in digital media and advertising for this recent round, including investors such as Damien Vincent, ex­-president of Facebook France, Alexis Rateau, NRJ commercial director, and Eric Saury, strategy director at Orange.